While most of us are used to choosing lightbulbs based on watts, this isn’t actually an accurate way of measuring light output and thanks to new energy efficient bulbs, it’s becoming a way of the past. Energy efficient LED and CFL bulbs, which still show a wattage value, are more accuratley compared and rated in lumens, and this can cause a bit of a headache when you’re trying to find a bulb that gives off the same amount of light you’re used to getting from your incandescent bulbs. To clear up the confusion, we put together a handy conversion chart for you to use so you can get the same lighting from your LED or CFL bulbs that you were used to getting with your old bulbs. The pace and evolution of the technology means more efficient LED’s are hitting the market ever 2 to 6 months, so the only accurate way to find a true equal is by matching its lumens to your existing bulb. So, what is the difference between the two and why the change? Watts actually measure the amount of energy that something uses, so it’s not an accurate measurement of the light that something gives off. Because LED and CFL bulbs use less energy, they will actually be much brighter using the same watts as an incandescent bulb. When we use a watt rating, we’re just looking at the amount of brightness we get from the way an incandescent bulb gives off the energy it receives. To highlight the inefficiencies with incandescent bulbs, when 1 watt of power is consumed to produce light 98% of that power is dissipated in the form of heat, only 2% of the energy actually produces visible light. Compare that too LED’s where well over 50% of the power consumed produces visible light. Lumens, on the other hand, actually measure the amount of light that a bulb gives off, so it’s a much better measurement. 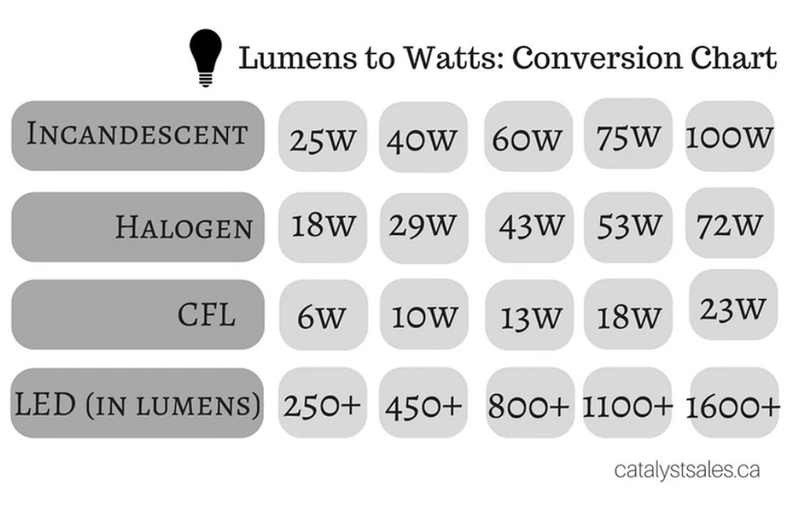 In the chart below, we’ve outlined the light output that you’ll get in lumens that you’d expect to get from watts. 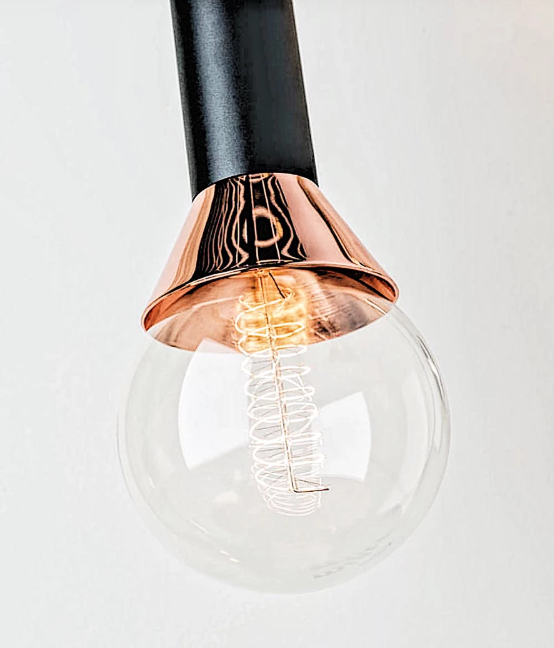 Now that you’ve got your bulbs figured out, why not browse for a new fixture to put them in! Check out some of our favourite lines for stylish and functional fixtures for your space.